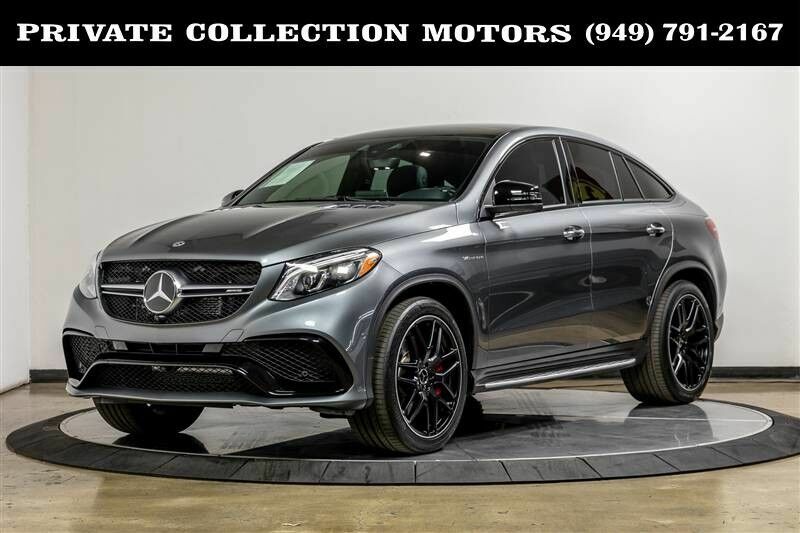 Here is a 2018 Mercedes Benz AMG GLE 63 S that is being offered for sale b Private Collection Motors. The GLE 63 AMG S is pure sportiness. Whatever the challenge, it does not matter to the Mercedes AMG GLE 63 S Coupe. It exudes cultivated tranquility on every surface and at the same time embodies powerful dynamism. Under the hood beats the heart of the AMG 5.5-liter V8 biturbo engine: 430 kW (585 hp) are waiting to be unleashed. Its interior is comfortable and full of precise details. It has only 9,000 miles and is finished in a Selenite Grey Metallic exterior followed by a Black w/ Grey Stitching interior. It was purchased new in Rancho Mirage, California and remained a California car. It has a one owner Certified Carfax history report and comes complete with 2 keys and owners manual. Let our 100% eBay feedback speak for our cars and sales staff. For our out of state buyers we can help facilitate shipping to anywhere in the US. We welcome pre purchase inspections and trade ins too. For more information please contact our experienced sales team at 949-791-2167. We look forward to hearing from you.